A small HD TV that can play DVD's and digital media files and still fit in tight spaces. This Naxa NTD-1356 13 in. TV with built-in DVD Player so you're able to watch movies and listen to music. This TV is AC/DC and includes a car cord which allows you to use it in your truck, car or camper. 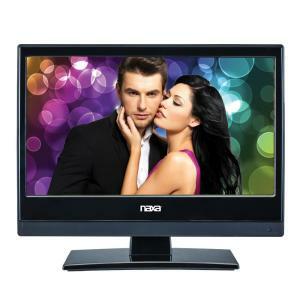 Tbook.com crawls the web to find the best prices and availability on products like Naxa 13.3 inch LED TV and DVD/Media Player Plus Car Package. This product is one of the more popular items we list which is why it is in our "hot deals" section. If you have any questions on this product, please give us a call at 734-971-1210 during the hours of 9am - 5pm EST for assistance. Thank you for shopping at Tbook.com, the Internet Department Store!